Are the SmartLoop Posts counted per month or per year? Learn more about what a SmartLoop post is, and how they are counted. 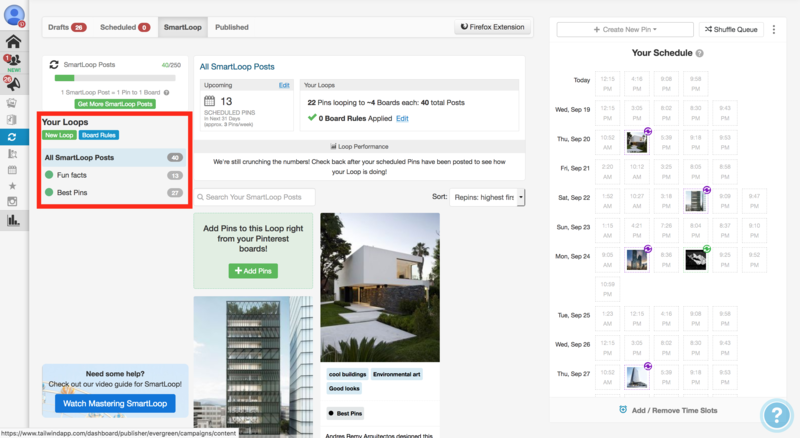 SmartLoop Posts are not counted on a monthly or annual basis. Since SmartLoops can continue indefinitely, the posts are not counted by how many individual publishing actions are performed, but on how many Pins are Pinning to different Boards. Each Board a Pin is set to loop to counts as 1 Post, regardless of how many times SmartLoop is actually publishing that Pin.